One of the worst feelings in the world is the helplessness felt when the sacredness of personal space is disrupted by a break in to your home. Suddenly, your world is turned upside down with insecurity, anger, and a general feeling of uncertainty. How can a homeowner protect themselves against home break ins? These home security tips may offer insight on ways to keep your home and family safer. Take some time to walk around your property and home. Looks for weak spots where an intruder might gain access to your home. If you have a basement or cellar that offers entrance to your home, make sure that the windows are secure and the doors are bolted securely with a sturdy lock. These smaller windows are often ignored by homeowners, but they may be the first place an intruder will look when seeking a way in to the home. Check the shrubbery around your home. Pay close attention to that which is close to windows and entrance ways. Don’t offer thieves a place to hide. Keep the shrubbery neatly trimmed. Tall shrubbery may offer you a feeling of privacy, but it gives an intruder a handy cover in which to hide. Don’t just rely on a day time home security walk. Do a walk around during the evening hours. Be on the look-out for areas that are shadowed and need more light. Have motion sensing lights installed in darker areas and make sure that all entrance ways are well lit. An intruder is less likely to target your home if they are easily seen by others. Consider the strength of your exterior doors. These doors provide straight-forward access to your home and should be made of strong and sturdy materials. You want that door to be solid so that it isn’t easily kicked in by an intruder. This is an important point of protection for your home. Install top-rated deadbolt locks. If you are a member of a homeowner’s association, check with them for specific guidelines regarding the installation of deadbolts. The easiest way for an intruder to enter your home is through an unlocked window, door, or garage access point. Keep these locked at all times. Remembering to lock a window can be easy to forget when the weather is nice and you’re enjoying a bit of fresh air. Make it a habit to check windows frequently to ensure they are locked. Similarly, you may be just running to the corner store for milk and your son is due home any minute. It’s easy to feel secure enough in these moments that you leave the door unlocked. An opportunistic intruder can use this small window of time to make off with your valuables. Even if you’re leaving your home to run to a neighbor’s house for a moment, lock your doors. If you have sliding doors that offer access to your home, take a trip to the local hardware store and purchase the safety devices needed to secure them from being popped from their frame for entrance. One of the worst things you can do is keep a spare key on your property. You may think you’ve found a brilliant hiding spot that no one will ever think of in a million years. Consider that an intruder has made it their business to know where to find those keys. Often, they have years of experience and are just as creative as you are when it comes to thinking outside the box for hiding a key. Instead, leave a key with a trusted family member or neighbor. It may seem excessive, but you could place an extra set of keys inside a lockbox at your bank. The inconvenience of retrieving these keys when you’re locked out of the house will be worth the added protection. Earlier, we mentioned cellar windows as an important point to consider when looking for ways to enter your home. These aren’t the only windows that require attention. Many decorative entrance doors come with beautiful panels of glass within them or beside them. Consider re-enforcing these windows with acrylic glass sheets. This added layer of protection will keep the window from being easily smashed by an intruder trying to reach inside to unlock the door. Windows allow natural light to enter our home. This is a major benefit to homeowners and is sought after by home buyers. Care needs to be taken to ensure that the windows we enjoy for lighting are not allowing prying eyes a free peek at our belongings. Invest in quality shading, blinds, or curtains to keep those eyes off your valuables without sacrificing your need for natural light. Having an alarm system or home security cameras installed may offer you a sense of safety. Have a reputable company provide suggestions that fit your home and lifestyle. Do your research before choosing a company for this service. Talk with friends, family, and neighbors to see who they are using for home security. Look up reviews online about the company. Check with the Better Business Bureau to see what kind of rating the company has with them. You can’t go wrong with the old fashioned idea of a community watch program. If your community doesn’t have one, look into ways of starting one that will benefit everyone. If you don’t feel comfortable doing this or you don’t feel you have the time, take a step to at least know your neighbors. Having open lines of communication with neighbors and an agreement to keep an eye out for suspicious activities can add a layer of protection that is valuable. If you are away from home for long periods of time, you may want to have someone drop in and pick up the mail, turn on the lights, or do small things that make your home look occupied. Many pet sitters offer this service in addition to pet sitting and walking. This would be a wonderful way for a trusted teen to earn a bit of extra money after school or on vacations. Check to see if your community offers free home inspections that are security related. Often, law enforcement officials offer this service for the community. Check with your local police department, sheriff’s office, or homeowner’s association to see what’s available. Of course, one of the best ways to protect your home and family in to live in a low crime area. Though all communities deal with security issues now and again, purchasing a home in a low crime area offers added peace of mind. 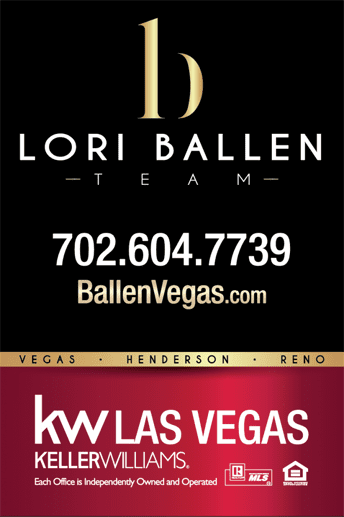 The Ballen Network has knowledgeable agents that can put you on the right path for choosing a safe area when looking at homes for sale. They have statistics on crime rates and neighborhood protection programs that can provide valuable insight.